Children's Books - Reviews - The Secret of the Blue Glass | BfK No. 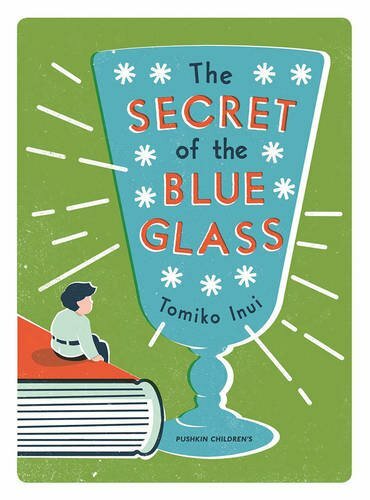 When Miss MacLachlan leaves Japan, she leaves behind a secret – a secret she entrusts to her favourite pupil, Tatsuo, together with a tiny blue glass. For Miss MacLachlan brought with her from England two tiny people, Fern and Balbo. Now she leaves them behind in a country where she hopes they will find a safe, peaceful existence. And they do, together with their children, Iris and Robin. But times change: Japan enters World War II. The Tiny People now under the care of Yuri, Tatsuo’s daughter, must leave their safe little corner to face a big and dangerous world. This is an old-fashioned book; indeed it was first published in Japan in 1959. However, it is captivating and absorbing – and as all good books do, it opens a window onto another world. The predicament of the Tiny People mirrors and moves in parallel with that of Yuri. Through them we learn what it would have been like to live during the Second World War in Japan; the experience of this war was not confined to Europe. There are no heroics – this is not The Silver Sword – but instead, like Bawden’s Carrie’s War, we learn about the privations faced by ordinary families, the trauma of separation as children are evacuated, the tensions caused by propaganda and patriotism. Like their human counterparts the Little People have to grow and change – and the result may be a surprise. The translator here succeeds in creating a seamless transition from one language to another. The prose flows smoothly allowing the young reader to travel to another country without difficulty. A very welcome addition to the library shelf and one that would lend itself to being read aloud in the classroom or at home.